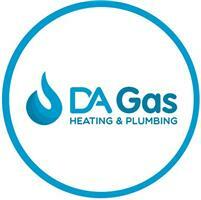 D.A Gas, Heating & Plumbing Ltd - Plumber based in Harlow, Essex. We are a domestic plumbing and heating company based in Harlow. We have over 10 years experience and are fully insured and Gas Safe registered. We pride ourselves in providing a reliable and honest service and one where our customers feel they have received a great service and will be willing to recommend us to family and friends. Whilst working in your home, we promise to respect your home and will leave your house clean and tidy, we use carpet protector, dust sheets and shoe covers. D.A Gas, Heating and plumbing specialise in domestic plumbing and heating systems, we cover anything from a simple tap repair through to a full central heating system.